Hongdae is actually an abbreviation used to describe the area around Hongik University (홍익대학교 where the “홍” and the “대” are put together to make “홍대”). It’s pretty famous for it’s clubs, fashion, urban art and indie music culture – buskers and other street artists perform regularly in the evenings. It’s one of those places that has something for everyone, unless you absolutely hate people and busy places, since it’s popularity means pretty much every day there are a fair few people there. And by a fair few, I mean a lot. Unless you happen to catch it at a time when the younger generation is still in school, then it’s at a fairly tolerable capacity, unlike Myeongdong, which is busy busy busy all the time. It’s a shame I haven’t been to Hongdae more often recently, since when I first arrived in Korea, it was where I stayed before I moved into the flat, and even though it’s a measly 15 minutes walk / 5 minutes subway ride away, there is so much more of it than I am seeing. I plan to change this, though. We stopped by this absolute gem of a shop called Macaron**, where all the macaroons are made by Dutch chef Ruben Ian Adriaan. The shop itself is gorgeous, with a black, pink and white colour scheme. You can see into the kitchen from the cashpoint, and even though it’s small it’s immaculately presented. 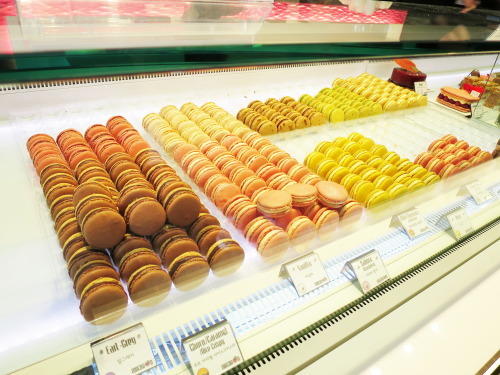 They sell both macarons and desserts here, and you can buy the macarons individually or in box sets. 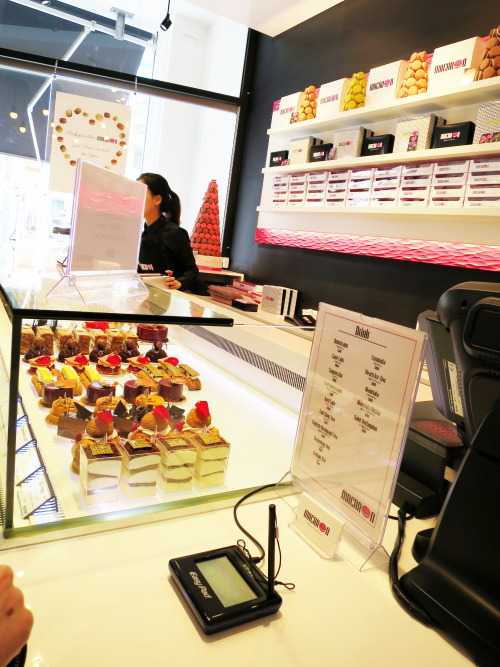 You can choose which flavour macarons to have in your box, the staff are really friendly and one of the girls speaks very good English if you’re having trouble or don’t know a lick of Korean. From doing a little research before going, I found that chef Adriaan actually manages to incorporate two flavours not only into the macaron shell, but the filling too. 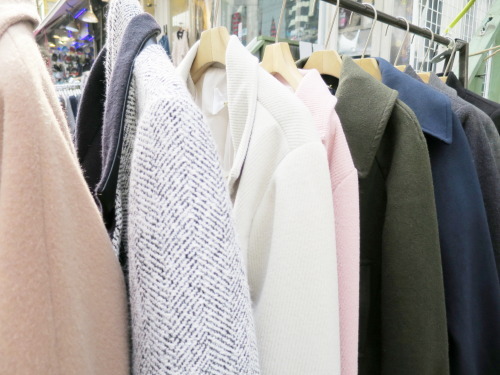 With our macaron mission complete, we headed to the area closer to Hongik University, the fashion streets. These streets are a little more pricey than the fashion streets in Idae, but I find that the quality of Hongdae is much better. And whereas Idae is a girls shopping heaven, you don’t tend to find the super-on-trend items there. In Hongdae though… in Hongdae I guarantee you will. At least 5 times over. Our next mission was to find coats. A stylish, more formal coat for my flatmate and a slightly oversize black aviator jacket – I’ve been seeing them so frequently they have wormed their way into my heart – for me. Cue much traipsing through coat racks. 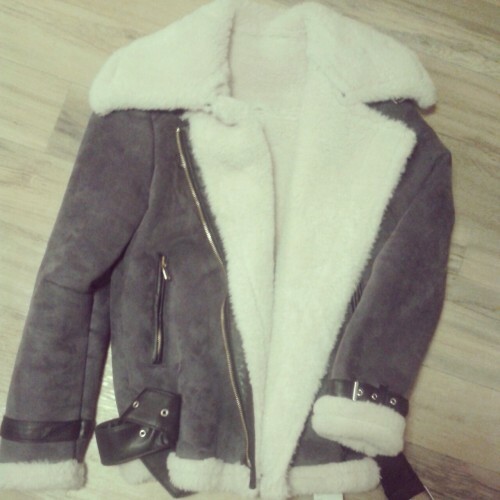 My flatmate found what she was looking for fairly quickly, in a little boutique called loft. It took me much longer to find what I wanted, I’d seen the perfect jacket earlier in the week and just couldn’t see it anywhere. Eventually I found something that I instantly fell in love with. It’s so warm and cosy and I can’t remember the name of the shop I got it from. Such a great purchase that I’ll be wearing for years to come. If you couldn’t tell by the (much improved) photo quality, my new camera arrived about a week ago! And so I have actually started taking it around with me, though I’m still nervous to film most of the time, but managed a little bit today so made a video of the inside of Macaron and a little of what Hongdae’s fashion streets are like. Sorry for it being so short/uninformative/generally terrible aha. "it’s (not really) just a girl thing"
"review: Skin Food Royal Honey Good Moisturizing Cream"
whoa! even for the pictures? You must great at taking pictures because they look amazing ^^!